It hardly seems a minute since I managed to get Christmas decorations down and packed back away, and here we are, Lent begins next week! So I’m taking the opportunity of blogging about such things as faith habits at home as my excuse to spend some time enjoying pinterest – should I say, researching – looking for the many great ideas out there that other families have tried. 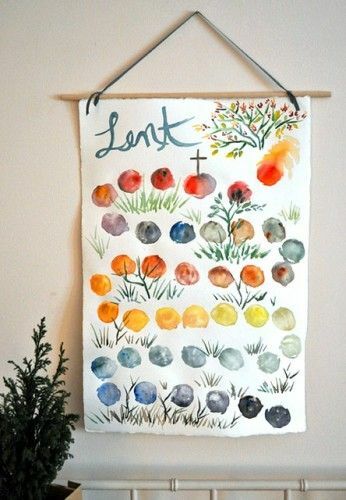 I wondered if it could also be made together as a family throughout lent, taking turns to add a thumb print (or even a painty foot print) each day. ‘Catholic Icing’ have a printable lenten calendar that could be coloured in each day. A simple visual countdown is really helpful for breaking lent down into something that can be imagined, and the end can be ‘in sight’. ‘Flame Creative Kids’ has a whole list of wonderful, creative, prayer and thinking activities including this lovely stained glass window design. 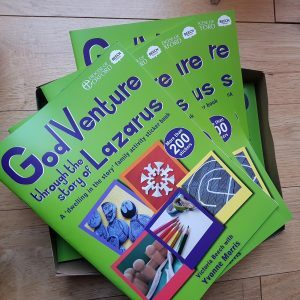 ‘GodVenture’ ‘s new book takes you through lent looking at the story of Lazarus with stickers, story, prayers. ‘Dunlap Love’ directs me to a way of doing a lenten tree – like a Jesse tree – and has some free printable ornaments to laminate and hang up each day as a Bible verse is read. And also ‘Wee Little Miracles’ tells me how to go about making and using this beautiful spiral to the cross with cardboard, burlap and modelling clay. She is planning to take turns to place a stone into a ‘cup’ each day to mark the journey through lent. I will also be posting weekly ideas, practical and crafty and with free printables inspired by my book ‘My Easter Egg Hunt’ which explores the meaning of Good Friday. They’ll be posted on my clearly nurturing publishing website. There are so many lovely ideas for creating sacred space, and a pattern of prayer and Bible reading together through lent. Now the hard bit is deciding which we will try. I am imagining we will combine a reflective habit like one of these with some intentional blessing of others. Maybe joining in with the 40 acts challenge or by collecting food for the local foodbank, or similar project adding some items every day as we pray (we have a project our church supports that works alongside asylum seekers and refugees, and there are others too who would welcome donations or things or of time). My littlest has this down to a T (yes I know! ), always has- I on the other hand am a work in progress. What a beautiful name, a wonder-full name, a powerful name! It has led me to praise in the mundane moments. It has stilled me at times when my head and my heart was full. It has enabled me to look ahead and trust when anxieties have come. It has coaxed me to pray. It has reminded me whose I am. Don’t worry Mummy, it’s just a phrase that means it frightened them a LOT. Just one of the many phrases we have encountered this week that just have to be learnt! ‘He was at a loose end’ – we came upon this one in a Paddington story. When I asked T what she thought it could mean she explained that he was balancing carefully on the scrumply, tatty end of an unrolled piece of paper. I love the image. Like someone getting to the end of the to-do-list and not sure where to put their foot next as it peters out beneath them. ‘In the wars’ heard at school. ‘It’s when you bump into something about 3 times in the same day. You say it like that because when people were in the war they were hurt.’- T.
‘In a minute’ – ‘No, not in a minute Mummy, NOW! Your counting makes a minute really really long.’ – T. It’s a longstanding cause of annoyance this one, I try really hard to say ‘as soon as I can’ or something more accurate like that but, especially in the mornings when I’m still half asleep I still find myself saying ‘In a minute T’!! ‘I’ve got the eye of a tiger’ – from a song, and sung frequently in our house translating the line as ‘I’ve got a tiger in my eye’ – sounds painful! This one’s socially accepted meaning is yet to be learnt by T! We drove into town this afternoon, and on the way go passed a cattle market. Today there were sheep to look at as we waited in traffic. We had a long discussion about whether they were lambs (since Daddy commented on lamb chops!). As we got moving again the worship song we were listening to talked about the Lamb on the throne… ‘even the song is talking about lambs Mummy’ – T. ‘Oh yes, but it’s not chatting about lambs like that, it’s talking about one person who was described like a lamb’, me, ‘You mean Jesus?’, T. ‘People wrote about Jesus being like the Passover lamb..’, Andrew. 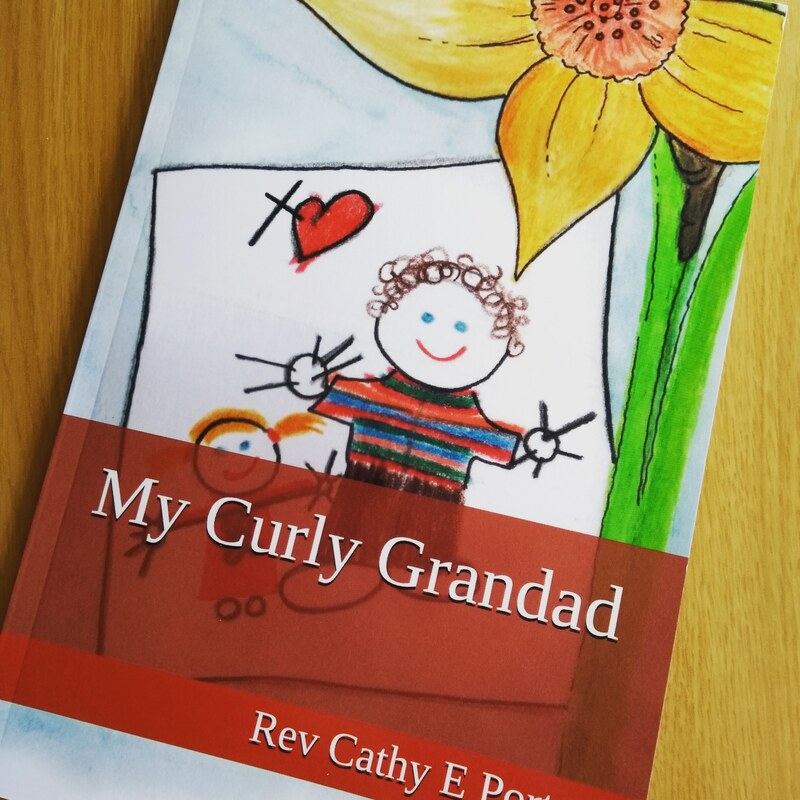 ‘Ooh I love the Passover meal, when is it Daddy?’… and the conversation moved on! Given more time, (and if the interest is there of course) this is such a rich theme in the Bible. So many layers of meaning that come together when we hear Jesus described this way. Of course yes the Passover Lamb – he is our promise of rescue and mercy. His blood (his life given) marks and covers us in the same protective way as the lamb’s blood covered the door ways on the night of the final plague. The houses of the faithful were passed over as the plague came, killing the firstborn. The sacrificial lamb. Within the sacrificial system, given to God’s people, animal sacrifices were made as peace offerings, guilt offerings, for atonement, forgiveness of sins, as a sign and renewal of covenant with God. Animals chosen had to be pure and perfect, their blood sprinkled on the altar to make a way for God’s people to come near to God having been purified and made holy, acceptable, right to be in God’s presence. The book of Hebrews reminds us that these sacrifices had to keep on being made to keep a right relationship with God. But Jesus’ sacrifice when he died to bring us to God, to make us holy, forgiven, pure, is the ultimate sacrifice, the once for all, no need to be repeated sacrifice, he is THE perfect, spotless lamb. We are forgiven, our guilt is taken away, we can be at peace with God. It is also interesting that throughout the Bible we are described as sheep, the people of God in need of a shepherd. And here is Jesus being described as the perfect lamb. One of us, fully human just like us but perfectly human as we were always intended to be! He stands in our place, offering back to God what we can never manage to bring in all our brokeness and imperfections. He takes us into God’s presence. ‘Mind blowing’- (dictionary definitions) astounding, staggering, you would expect it to be the results of a hallucinogenic drug, too much for the brain to handle or process, affecting the emotions intensely.